The 124th Carnival of Nuclear Energy Bloggers is now posted at Atomic Power Review. Once again, Will Davis starts the post with an opportunity to guess "what is this" about a picture from the nuclear past. I thought I knew what this picture showed. I was wrong. Maybe you will do better. Give it a try! The Carnival contains a link to Gail Marcus of Nuke Power Talk discussing Japan's nuclear future (Marcus worked in Japan). 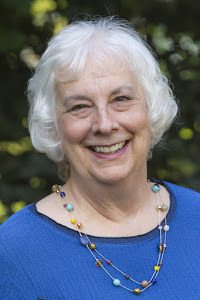 There are two posts on pro-nuclear activism: my post about Vermont and ANS Nuclear Cafe's Laura Scheele on Tennessee. Three excellent posts by Brian Wang of Next Big Future about world-wide good news on nuclear energy. Art Wharton at ANS Nuclear Cafe encourages United States leadership in nuclear energy--American leadership is a non-proliferation issue. Those of us in the nuclear industry and nuclear blogosphere know Andrea Jennetta, the founder and publisher of Fuel Cycle Week (FCW). As Jennetta describes FCW: the only nuclear industry publication with a sense of humor, incisive analysis and discernible opinions. Now Jennetta has started a new blog: I Dig U Mining. This is a terrific blog, with short, pointed posts and great illustrations. Here's a typical post: What's In A Harmless Solar Panel Anyway? Rod Adams has a very thoughtful post welcoming Jennetta's blog. Her blog will cover a neglected part of the nuclear story: uranium mining. In the same post, Adams also welcomes Nuke Roadie's blog. (I have an earlier post welcoming Roadie.) Both blogs are very welcome! The Wall Street Journal is having a poll on: Should the World Increase Its Reliance on Nuclear Energy? It will only take you a moment to vote "yes" and presto...you will have stood up for nuclear power in a public forum. Do it! Take a moment to vote in the poll. You can also comment (there are some great pro-nuclear comments on that poll, as well as the usual anti-nuclear fear-mongering). Another way to be pro-nuclear in public. 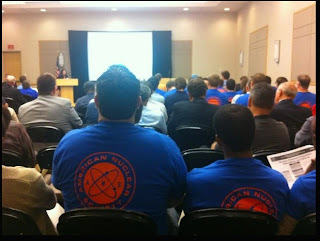 Yesterday, the American Nuclear Society Nuclear Cafe blog had two posts about standing up for nuclear power. One of the posts encouraged people to vote in the WSJ poll that I have linked to above. 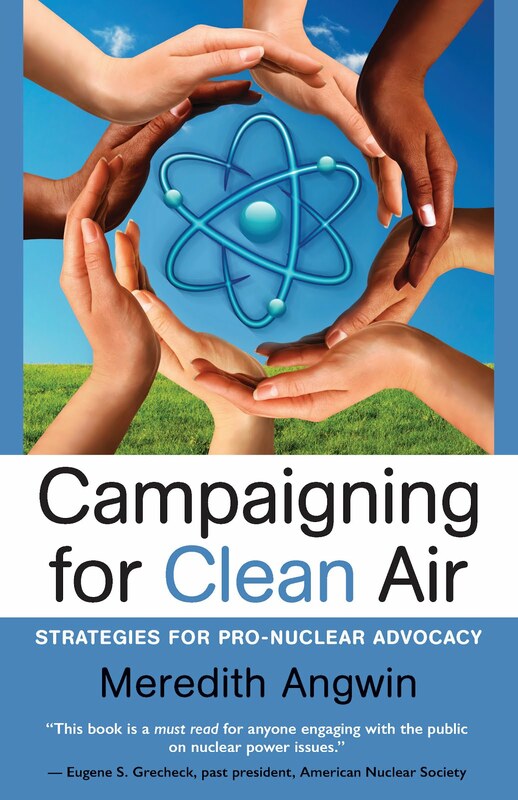 I wrote the second post: Pro-Nuclear Activism: Something for Everyone. This post described different ways to stand up for nuclear power, including writing pro-nuclear comments on web posts and newspaper articles. Since many of us are scientists and engineers, we sometimes think we have to do a research project before we can write anything. However, even a simple opinion counts in the public discourse. Sharing a pro-nuclear opinion is also standing up for nuclear energy. I used this comment (at left) as my example. 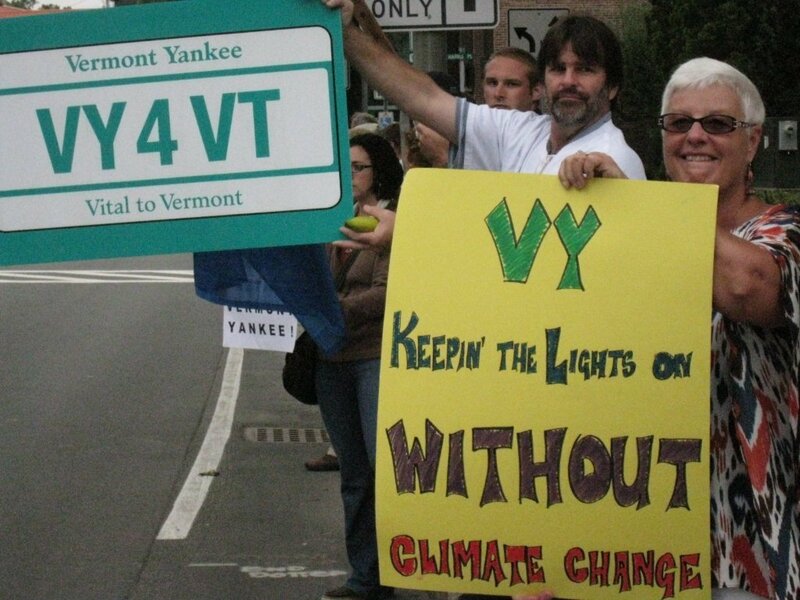 Judge Murtha ruled for Vermont Yankee in the federal court case. On a Vermont web site, an anti-nuclear commentator made the usual "they are all in bed together" type comment about Murtha. 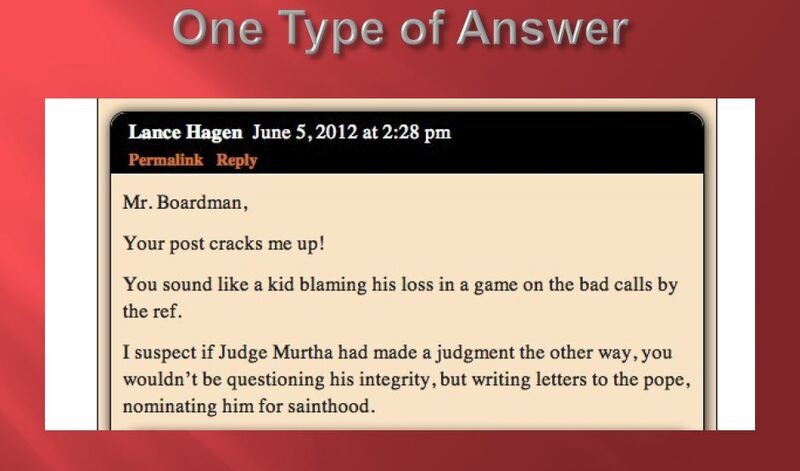 Mr. Hagan replied: "you are like a kid blaming his loss of the game on bad calls by the referee." Hagan's comment was also an opinion. It was easy to write and it is now out there, in public. Pro-nuclear. Howard Shaffer and I gave a talk on pro-nuclear activism at the Connecticut chapter of the American Nuclear Society. The ANS blog post has links to that talk. Another part of the talk was about using props to "make it real" when you are giving a pro-nuclear talk. 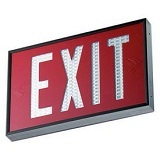 For example, Howard Shaffer bought a tritium exit sign and it was delivered through the mail. 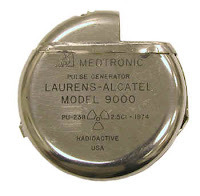 It contains far more tritium than leaked from the famous pipe at Vermont Yankee. You can't send hazardous materials through the U S Mail. At many talks, this exit sign in Howard's hands has "made it real" in a way that words and viewgraphs can hardly match. Vermont Yankee has its renewed license from the Nuclear Regulatory Commission, but still needs a Certificate of Public Good from the Vermont Public Service Board (PSB). Before deciding on the certificate, the PSB will hold only one public meeting. This hearing will be on Wednesday November 7, at 7 p.m, at Vernon Elementary School, across the street from the plant entrance. The meeting is designed for the public to ask questions, and express concerns about the proposed new Certificate of Public Good for Vermont Yankee. The Certificate will allow the plant to operate for the full twenty years of its NRC license. This is a very important meeting, and the last chance for the public to address the PSB. The formal hearing process will finish next August, with a PSB decision to follow. The schedule is posted in this Pre-Hearing Memo by the Public Service Board. Note: There will also be a Vermont Interactive Technologies hearing on November 19. You can attend this hearing at many places throughout Vermont. At this point, however, I would urge people to show up in person on November 7 if you possibly can do so. It is very important that supporters of Vermont Yankee attend this meeting. This and the interactive hearing are the only ones scheduled before the Public Service Board decides. The meeting is near the plant, and many opponents turn out for meetings near the plant. We need to show the Public Service Board that there are supporters as well as opponents. Also, when the opponents are present as a large majority, some of them tend to be rude. In my opinion, when they are part of the majority, these opponents tend to be much more rude than they would dare to be in a more balanced audience. Their rudeness is calculated to add to the impression that everyone hates the plant. Mark your calendars. Support nuclear power. Support the economic viability of Vermont! This is a crucial meeting. At this point, the contents of Docket #7862 are not yet on the Public Service website, a situation I blogged about in Docket 7862, Where Are You? The Public Service Board opened this new docket because its previous Vermont Yankee dockets (7440 and 7600) could not be scrubbed of nuclear safety material. The federal government, not the state, regulates nuclear safety. Because the new docket is not yet posted at the Public Service Board site, I have posted the material I have about the docket on the Energy Education Project site. You can find many relevant briefs and testimony at Public Service Board Docket 7862 filings. I hope to see you on November 7! The 123rd Carnival of Nuclear Energy Bloggers is up at Hiroshima Syndrome. Leslie Corrice has done a great job of putting the Carnival together! Plus, Corrice has made my job of announcing the Carnival much easier. I always try to put up a brief summary of the posts. This week, Corrice has provided an excellent summary! Here it is. The Hiroshima Syndrome is proud to host this week’s Carnival of Nuclear Energy Bloggers, listing the reports posted by the internet’s most prominent nuclear bloggers during the past week. 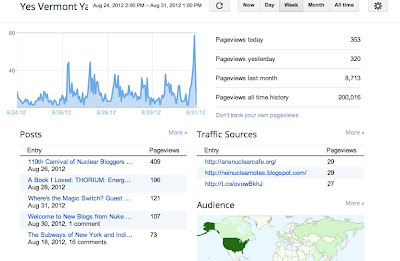 The Carnival of Nuclear Bloggers has existed for more than two years and is a mainstay of nuclear information for thousands of interested readers. Each listed blog is summarized and the URL link given, making it easy to find and read the full reports. This week’s topics include; Vermont Yankee continues to operate despite a legal challenge, several perspectives concerning the impact of Japan’s new energy policy on its nuclear plants, what politicians can learn about nuclear energy from experts, and how “all the above” may not be the best energy choice. In my opinion, Governor Shumlin doesn't want to shut down Vermont Yankee. He just wants to look as if he wants to shut down Vermont Yankee. In January, in federal court, Judge Murtha ruled that Vermont was attempting to shut down Vermont Yankee on the grounds of nuclear safety, and regulating nuclear safety is a federal prerogative. Entergy had argued its case by showing many situations in which the state legislators spoke about nuclear safety, sometimes with the ironic comment that they couldn't say the "s-word" so they would have to call it "reliability." Cavan Stone wrote a blog post on this "s-word" business The Control-H Defense. You use control-H to substitute one word for another. Do the substitution, and you aren't regulating safety at all. You changed the word. In the Vermont brief that appealed Murtha's ruling, Vermont claimed that the judge had cherry-picked a few things a couple of legislators had said. From those few statements, Murtha had decided Vermont was attempting to regulate nuclear safety. Vermont claimed it wasn't interested in regulating nuclear safety. A few legislators were out of hand...said things they shouldn't have said, maybe...no big deal. Vermont wasn't attempting to regulate nuclear safety. Nothing could be further from the truth. Vermont claims that it wants to shut down Vermont Yankee in order to build renewables (yes, you read that right). The desire to shut down Vermont Yankee is all about renewables, and nothing about safety. That is the main message in Vermont's appeal brief. I discuss this in my post: It's the Renewables, Stupid. Vermont Files a Brief. Clearly, with the federal appeal coming up, Vermont is being extra-careful. The state wants to be sure that nothing it does could give the impression that that the state is trying to regulate on the basis of nuclear safety. Right? After all, the election is coming up faster than the court case, and the election is more important to Governor Shumlin. Vermont is trying its hardest to look as if it is regulating nuclear safety. Liz Miller, the Shumlin-appointed head of the Department of Public Service (DPS), recently joined a lawsuit by an intervenor. The DPS and the intervenor sued the NRC, claiming that NRC had granted Vermont Yankee's license extension improperly, because of a water quality permit issue. DPS and the intervenor lost the suit. 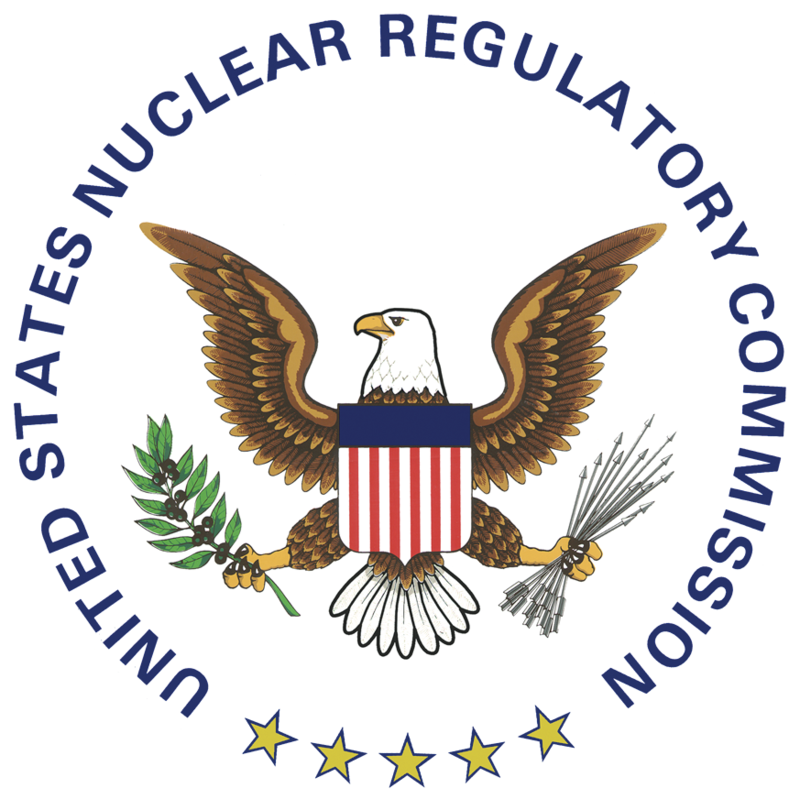 After they lost the suit, Miller asked the NRC to increase their oversight of Vermont Yankee until the NRC begins to regulate nuclear safety to DPS standards. DPS thinks Vermont Yankee needs more oversight. The NRC turned her down, though someone from NRC came to Vermont to explain to her how the NRC does business. You can read about this in my blog post about VSNAP, in the section on the Panel and the Plant, and in the Brattleboro Reformer article: NRC says Vermont Yankee doesn't need increased oversight. I really tried. I did. I tried. Now, vote for me. A victory for Vermont in court will depend on Vermont proving that it had no intention of regulating nuclear safety. 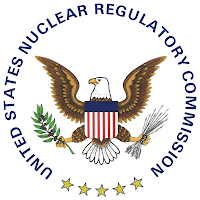 It seems absurd to me that Vermont would join lawsuits against the NRC, insist the NRC isn't doing enough oversight, and so forth...while simultaneously trying to prove in court that the state has no interest in controlling or regulating nuclear safety. If they want to win in court, the state's actions can most simply be described as "counter-productive." 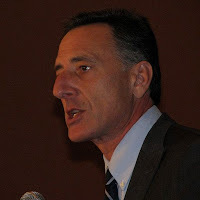 In my opinion, however, Shumlin is going for his own kind of win-win. Win the election by appealing to the part of his party that wants Vermont Yankee shut down. Win the election by keeping the Progressive Party on his side, by showing how hard he is trying to shut down Vermont Yankee. Every time you look around, there is his DPS, trying to protect everyone from the inadequate federal regulation of nuclear safety. At the same time, the DPS is taking actions that will probably assure the state will lose in court, or at least, these actions will increase the probability it will lose. So Shumlin will have his cake and eat it too. Win-win. He wins the election. He convinces everyone he is trying to shut down Vermont Yankee. But Vermont Yankee keeps operating! Not his fault, he tried, but in the meantime, it stays as a source of tax revenue for the state, and a source of employment in Windham County and neighboring regions. Win-win for Shumlin. He tried. He may succeed. Win the election, lose the court case. Win-win for Shumlin. In my opinion, at least. This will another blog post. Vermont Yankee recently sued the state again, this time because the state increased its generation tax by about seven million dollars a year. I will cover this later, it's another subject. But I couldn't write "a source of tax revenue for the state" without mentioning this. Vermont Digger has an excellent article on the tax and the lawsuit. Vermont Digger has a more recent picture. Alan Panebaker was a reporter with Vermont Digger. Everybody agrees that he was a terrific reporter: fair, thorough, readable. He covered energy at the State House, and I saw him at many meetings. Sometimes he interviewed me briefly. He was always smiling, friendly, and professional. That doesn't explain it. He was "smiling, friendly and professional". He was also --always warm. I always felt sort of cheered-up and warm when I saw him. Many people have said the same about him. 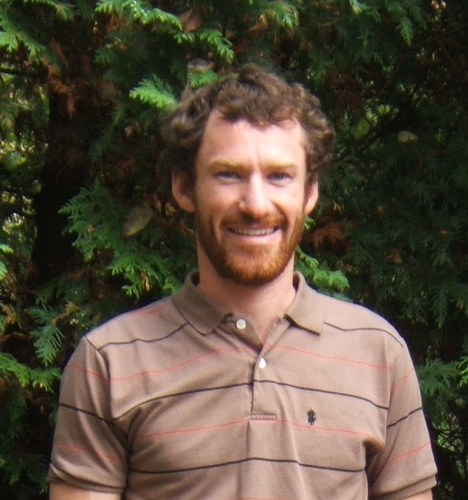 Panebaker left Vermont Digger to join a not-for-profit, American Whitewater, a river conservation group. Kayaking was his passion, and he was on the local rivers as much as he could be. I was sad when he left the Digger and wondered if they would ever get such a good energy reporter again. We all wished him well in his new job. Panebaker died in a kayak accident Wednesday morning. He was 29 years old. 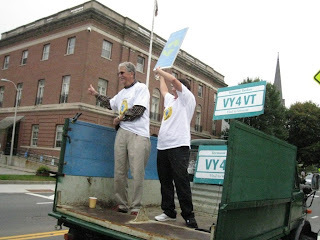 The Digger article starts: VTDigger.org regrets to report that Alan Panebaker drowned on Wednesday, Sept. 19, doing what he loved best. Look at the comments on the Digger article. In those comments, from every side of the energy debate, people shared their respect and love for Alan Panebaker. We will all miss him. I saw him at hearings, and I read his work. He was so young and had such a bright future ahead. I mourn for him. I link here to two Panebaker articles, so you will how careful and fair he was. However, there was one thing wrong with my posts. I wasn't there. I was following the action from Vermont. Steve Skutnik was in Chattanooga, and he was one of the people who organized some of the ANS student attendance. He has a great blog post about it at Neutron Economy Mixing it up over MOX--A wrapup from Chattanooga. Showing up worked in Tennessee. Let's start with what didn't happen: the "nuclear zombies" didn't show up. These zombies are people who come to meetings in Tennessee in costumes doused with fake blood. They weren't there, and the meeting wasn't filled with street theater. What did happen: people at the meeting got a chance to talk, and people were polite to each other. Some productive conversations even took place afterwards in a local restaurant. The whole thing sounded quite civilized. I have to admit, however, that Steve noted: A particularly interesting facet of the meeting was in how one could readily identify MOX opponents before they even got to their arguments - solely by their tone of voice. In nearly every case, opponents would grow progressively louder as they spoke. What worked: I think that the reason things went so well is that so many pro-nuclear people showed up. In many meetings around here, the opponents completely outnumber the supporters, and the opponents are emboldened by their numbers. Loud voices and street theater often dominate a meeting when nuclear opponents hold a strong majority. IMHO, when representation is more even, meetings are more polite. In other words, Just Show Up for nuclear. It's the story of a successful event, and it is vivid enough so I feel as if I had been there. 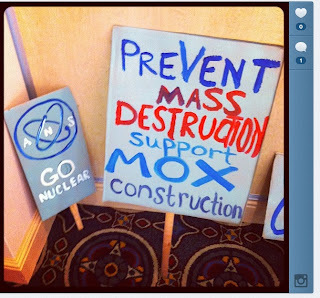 I learned a lot about MOX in his post. The 122nd Carnival of Nuclear Energy Bloggers is up at ANS Nuclear Cafe. This is a fascinating Carnival. For example, it contains two bloggers covering the NRC MOX hearings in Chattanooga, and two bloggers covering the Connecticut River controversies in Vermont. Then there's a blog post about nuclear waste disposal in the Permian basin, and a new Brayton cycle process that can make future plants more thermodynamically efficient. Plus Fukushima updates, South Korean nuclear updates, and the needs for a mixed energy portfolio. It's a great read for an early autumn evening. 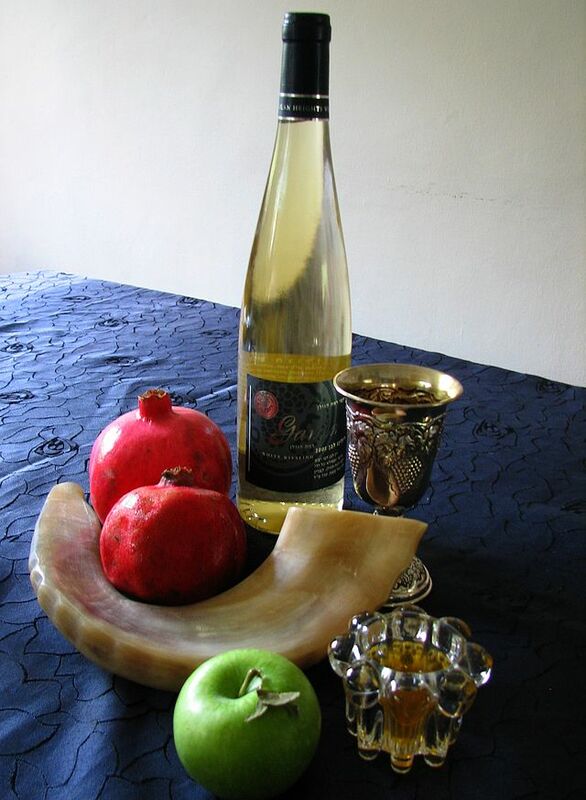 Rosh Hashanah, the Jewish New Year holiday, starts at sundown today. May the year to come be as good and sweet as apples dipped in honey. It's time for a little catching-up. At Vermont Yankee, as at other plants, heat rejection includes the river. (At VY, I say "includes the river" because there are also cooling towers.) Opponents use the thermal discharge as a way to attempt to shut down the plant, or alternately, to harass the plant into unnecessary and expensive use of its cooling towers in all weather. Howard Shaffer has an excellent post on water issues at Vermont Yankee, and how they are distorted by the plant opponents. His post was published at ANS Nuclear Cafe Tuesday: Plant cooling a stumbling block? Yesterday, Vermont Yankee filed a lawsuit against the state of Vermont in federal court Vermont Yankee had been paying $5 million a year in a generation tax to the state of Vermont. It had also been paying another assessment, calculated by a formula, to the Clean Energy Development Fund (CEDF). Entergy agreed to this when it moved some of its fuel rods into dry cask storage. Vermont Yankee paid around $7 million to the CEDF some years. However, the agreement to pay into the CEDF ended on March 21, 2012. 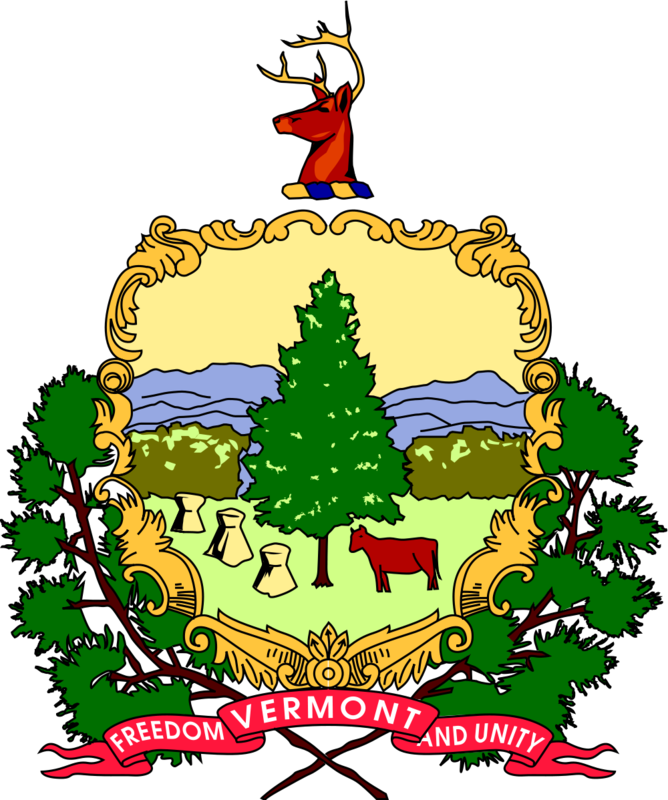 In January of 2012, the Vermont Legislature passed a bill requiring Entergy to pay more than $12 million in a generation tax. In other words, as the CEDF agreement with Entergy ended, the state just added that $7 million to the generation tax. The state didn't want the revenue stream to end when the agreement ended. You'd think that an agreement is an agreement, with a date on it. Not in the Vermont legislature, apparently. Yesterday, Entergy sued the state in federal court against this discriminatory taxation. I will blog about this more in the future. Meanwhile, this AP article gives a good description of the grounds of the lawsuit: Vermont Nuke Plant Sues Over New State Tax. You might also enjoy reading the comments on this short WCAX article on the lawsuit. And oh, I can't resist. 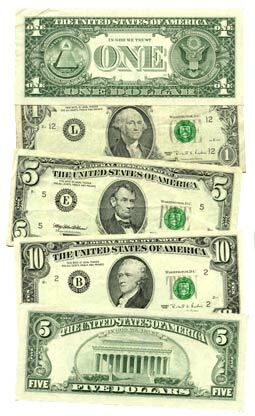 A link to my January blog post: Taxing Fuel Rods: The Vermont Legislature Plans Another Law Which Will End Up in Court. I was right. It ended up in court. Vermont Yankee won its case in Federal Court, and Attorney General Sorrell filed his brief for the appeal. I blogged about his brief in June: It's the Renewables, Stupid? Vermont Files a Brief. This page includes Judge Murtha's ruling, the State brief, the Entergy brief, and five pro-Entergy Amicus Curiae filings. More cheerfully, a year ago September 12 was the first day of the court hearing in Brattleboro on the Vermont Yankee federal lawsuit. Anti-Vermont Yankee people, mostly dressed in black, held a vigil in front of the federal courthouse. 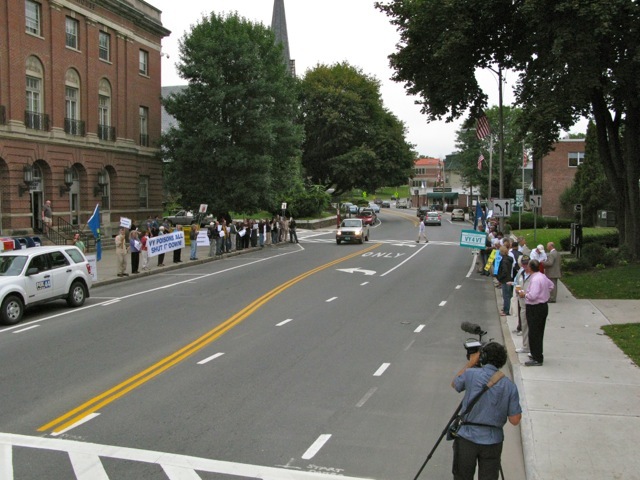 Vermont Yankee supporters, many with white t-shirts, held a rally. I decided to illustrate this post with some pictures from that day. The picture at the top shows plant supporters on the right, plant protesters on the left, and a documentary film-maker taking a movie of it all. You can read more about the rally at my blog post: Rally Retrospective: On the Sidewalks for Vermont Yankee. Carnival of Nuclear Energy Bloggers 121 is up at Next Big Future. It's a great look the new (LFTRs, reactors and regulation in India, fusion rockets) and the old (carbon database from world-wide fossil plants, the SLYCOR-Corning plant) and the grid (bicycle chains and Trojan Cows). Come for a visit! If you are in Vermont, New Hampshire or Massachusetts, please consider attending the VSNAP meeting tomorrow night at Vernon Elementary School. The Vermont State Nuclear Advisory Panel meeting starts at 6 p.m. Come early to sign up to testify. Even if you don't speak, your presence will be a welcome sight for other plant supporters. (You will also be a pleasant sight for people who work at the plant and are required to attend these meetings.) You can read more about it at Two Upcoming Events: VSNAP and ANS. I will not be at this meeting. Howard Shaffer plans to be there, along with other friends of Vermont Yankee. Just now, I published a blog post called The River and the Rhetoric--Who Speaks for the River. This post was mostly about the Sage Alliance plans for a flotilla-based protest of Vermont Yankee, and about the Connecticut River Watershed Council, an anti-Vermont Yankee advocacy group. I thought I needed another post about the river itself. Let's start with the idea that the shad are disappearing. Well, they are not. It's a record year for shad on the Connecticut River, with one million returning to spawn. I am sure you will enjoy the article in the Hartford Courant. In contrast, during our debate at University of Vermont in February, 2011, Arnie Gundersen claimed that there were 16 shad in the Connecticut River. I just couldn't resist including this clip of the debate, since there are actually a million shad in the river this year. It's also worth adding a reminder about the Vermont Yankee water quality permits, since the flotilla is focusing on this issue. The Vermont Department of Public Service lost a recent lawsuit about water permits. The Department had sued the NRC, claiming that Vermont Yankee should not have been granted a license renewal because the plant water quality permit was out of date. They lost. I blogged about the water permit lawsuit here. Connecticut River. View from near my house. My river runs through it. It's not just their river. The Sage Alliance is planning an anti-Vermont Yankee flotilla tomorrow on the Connecticut River. 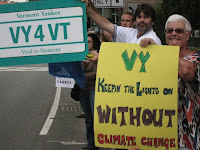 The title of their rally is Our River Runs Through It: Flotilla and Rally to Stop VT Yankee Pollution The opponents continue to assert, in word and action, that Vermont Yankee thermal pollution is killing the fish in the Connecticut River. As a matter of fact, Arnie Gundersen has stated that there are only sixteen shad left in the Connecticut River. My blog post about this statement: Hot Climate and Cold Fish: Gundersen's Debate Misstatements received over thirty comments. Most of the comments told me that Gundersen was right and who was I to say that he was wrong? 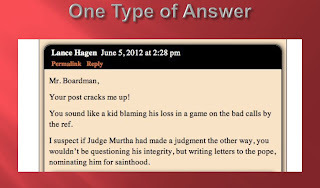 Let's start with "Who am I to say Gundersen is wrong?" Well, I live a hop and skip from the river, which is more than Gundersen can say. More particularly, let's look at the people who claim to care about the Connecticut River. David Deen, a Vermont Legislator and river guide, is River Steward for the Upper Valley of the Connecticut River Watershed Council. Deen will be one of the key speakers at the anti-Vermont Yankee flotilla. The Connecticut River Watershed Council paid for reports that claim that Vermont Yankee is "baking" the wildlife. A report issued in August received much media attention. This article in the Brattleboro Reformer describes Deen going to Entergy offices with cookies, and trying to hand them the report. Interestingly, only one media outlet, WCAX, included this quote from Deen about the report: "We are not saying that Entergy is in violation of their permit. But what we are saying is that the formula that the permit is based on, ANR is not collecting a critical piece of data," said David Deen of the Connecticut River Watershed Council. I thank Adam Sullivan and WCAX for putting the Watershed Council's cookie-baking in context. Entergy is not in violation of their permit. The Watershed people just don't like the permit. Who is the Connecticut River Watershed Council? When I first heard of the Watershed Council, I thought it was a consortium of government entities that are affected by Connecticut River watershed issues. After all, watersheds cross county lines, township lines, state lines. A council of government agencies is usually required to manage a watershed properly. The title of this organization would lead a person toward that conclusion. Nothing could be further from the truth. This is an advocacy organization, like the Sierra Club or VPIRG. Its name is as clever as VPIRG's name: Vermont Public Interest Research Group. How many headlines have I read saying "Research Group says VY should close" (or words to that effect). The "research group" was VPIRG, of course. Naming an organization well can be a great advantage. I should have guessed the Watershed Council was an advocacy group. Deen is a River Steward with the group. Most government programs have "chairpersons" or "planning specialists." They don't have River Stewards. 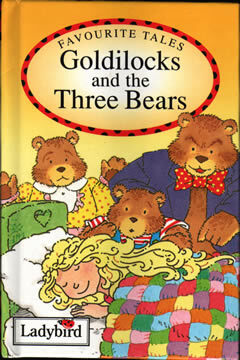 That's a title from Merry Olde England, or maybe from Tolkien. In contrast, there is an official body concerned with Connecticut River watershed issues. The Connecticut River Joint Commissions consists of legislative advisory bodies concerned with the Connecticut River. 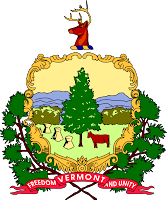 The Joint Commissions were set up by the New Hampshire and Vermont legislatures. Fifty three Towns (in Vermont and New Hampshire) border on the Connecticut. River management is divided into Local Committees, each responsible for understanding and advising on a section of the river. The selectmen of each town appoint up to two members of the Local Committee. It is truly a citizen's advisory body, and does a great deal of planning. For example, the Water Resources Management Plan provides significant guidance for many topics along the river. The Connecticut River Join Commission holds meetings and work weekends. 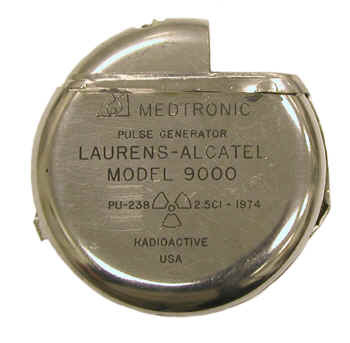 It advises on permitting, boat safety, and non-point-source discharge concerns. The Watershed Council claims to speak for the Connecticut River. To some extent, it may. It has paid staff, but it is also a volunteer group, and volunteer groups are important. However, in this case, the group has become self-important, constantly attacking Vermont Yankee. 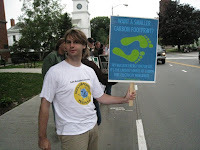 For example, the group claims that that the thermal plume from Vermont Yankee can be detected fifty miles downstream to Holyoke, Massachusetts. Considering that the river flows through Vernon Dam and is diverted to the Northfield Pumped Storage plant before getting to Holyoke, a thermal plume visible that far downstream is improbable, to say the least. The Watershed people paid for a study that claimed the plume was visible and the delta-T (temperature change) remained in the river fifty miles downstream. I find this study unconvincing, as it mixes critiques of computer models, dye-tests in the river, and measurements. It seems to claim the only thing that could be heating anything downriver is...the thermal plume from Vermont Yankee. I admit, however, that I am not a hydrologist. To me, the study looks like a mish-mash with an agenda. The only thing the study considers is the thermal plume from Vermont Yankee. Any temperature change is because of the thermal plume from Vermont Yankee. Pumped storage...not mentioned. Evaporative cooling from the river...not mentioned. Sunny days, rainy days...not mentioned. Mt. Tom coal-fired plant upriver of Holyoke...not mentioned. Vermont Yankee controls all. Or at least, it controls the entire hypothesis. No alternate explanations need apply. On the basis of this work, the group now acts as if it is a fact that thermal plumes can survive dams, pumping stations, pumped storage reservoirs, and fifty miles of river. This is advocacy gone mad, in my opinion. In my opinion, the Watershed Council group and its Stewards have their own agenda, which seems to have very little to do with what happens on the Connecticut River. On the other hand, the Connecticut River Joint Commissions are made up of local people who do not hold archaic titles. These people are far more likely to speak for the river, in my opinion. And they speak for me. After all, it's my river, too. On July 1, a group of people opposed to the continued operation of Vermont Yankee protested at the nuclear power plant’s gates. One prop they used to dramatize their belief that there are better energy options than nuclear power was a hollow “Trojan Cow” they pulled to the demonstration. Some protesters pulled mock solar panels out of the cow, while others held whirligigs representing wind turbines. The cow sculpture even included a representation of manure, representing “cow power” energy produced from farm methane. The theme was clear: Vermont Yankee will be replaced with renewables. Well, that is simply not true, at least in the foreseeable future. Closing Vermont Yankee will not bring a burst of renewables to market to replace its power. Closing Vermont Yankee would mean buying more power from the New England grid to make up for Vermont Yankee’s supply. Grid power is approximately 58 percent fossil fuel, 28 percent nuclear and 12 percent hydro plus renewables. Wind, solar and farm methane together account for less than 1 percent of the power generated in New England. What would closing Vermont Yankee mean? More solar power on the grid? No. With or without Vermont Yankee, renewables are expensive, and they are not coming on line quickly. On the other hand, fossil fuel plants are abundant suppliers to the New England grid, supplying the majority of grid power. Many fossil fuel plants operate only part-time. The part-time plants run when they are needed to satisfy the power requirements on hot summer days or cold winter evenings. They also operate when nuclear plants are down for refueling. If Vermont Yankee closed, existing fossil fuel plants would compensate by running longer hours and making more power. 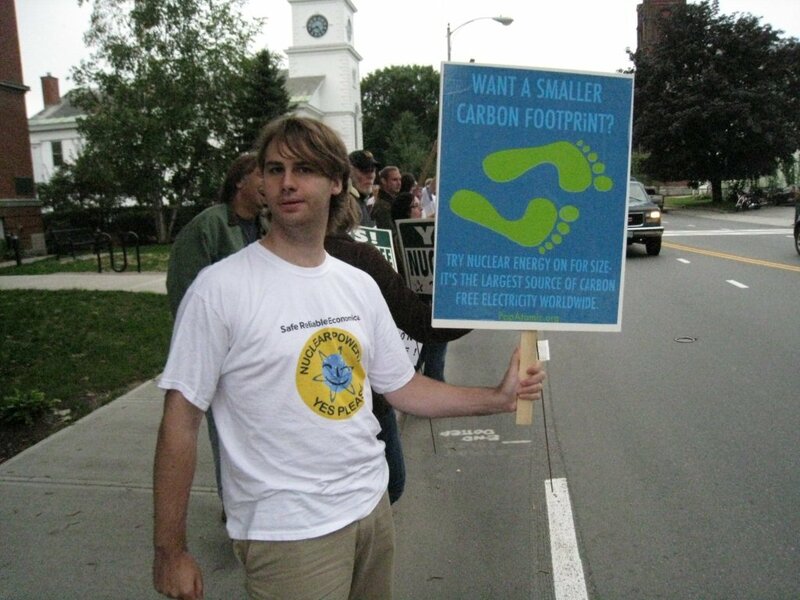 If the Vermont Yankee protesters had wanted to stage a more accurate dramatization, they would have pulled a model of a gas or coal plant from their Trojan Cow’s belly, not a cardboard solar panel. Well, a “short while” is likely to be very long. For example, the Vermont state energy plan calls for the state to meet 90 percent of its total energy needs from renewable sources by 2050. That’s an ambitious goal considering that Vermont does not meet its current renewable energy goals and has no prospects of meeting them in the near future. The Vermont energy plan established a goal of having the state use 20 percent of its electricity from renewable sources by 2017. Even using optimistic assumptions about project completion, the state will attain only the 16 percent mark in by that date. In 2009, the state had 13 percent of its electricity from renewables (mostly in-state hydro). A growth of 3 percentage points over eight years ( 13 to 16%, 2009 to 2017) is not very impressive. Perhaps the rate of growth of renewables is accelerating? Not really. Last year, the Vermont Legislature voted against having an aggressive Renewable Portfolio Standard for Vermont. Such a standard might raise the percentage of renewables in Vermont, but it would also raise Vermont electricity rates to unacceptable levels. Renewable growth is slow in neighboring states for similar reasons. In short, closing Vermont Yankee would have the regional result of requiring more fossil fuel to supply the New England grid. Not true. In March of this year, the power contracts between Vermont utilities and Vermont Yankee ended. Vermont utilities no longer buy Vermont Yankee power. However people in Vermont are still using Vermont Yankee power. That sounds weird, but realize that buying power and using power are different, because power from different sources blends together on the grid. The supply on the grid depends on the power plants, transmission lines and end-users. These don’t change when contracts change. Who pays for the power is a different matter altogether: Payment depends on agreements made between plants and utilities and regulators. The day after Vermont Yankee stopped selling power to Vermont utilities, Vermont consumers used the same actual power mix as they had used the day before. However, on that day, Vermont consumers began paying for power in a different manner. Among other changes, Vermont consumers began paying for Seabrook power, according to a contract between Green Mountain Power and Seabrook. This did not mean that Seabrook power suddenly began streaming into local power lines. Once again, we have to take into account the regional nature of the grid. Power contracts determine payment methods, but contracts don’t determine power routing and use — that is determined by plant availability and geography. Power blends together on the grid. If a plant goes off-line, other plants take up the slack. When nuclear plants go off-line, fossil fuel plants step up and produce replacement power. Protesters used a Trojan Cow to suggest that if Vermont Yankee closed, renewables would take its place. Perhaps the use of a Trojan animal was more apt than the demonstrators intended. After all, the original Trojan horse was designed to deceive. In this case, the people that the demonstrators are deceiving about the consequences of closing Vermont Yankee start with...themselves. This is a slightly edited version of an op-ed I wrote for my local paper, the Valley News. 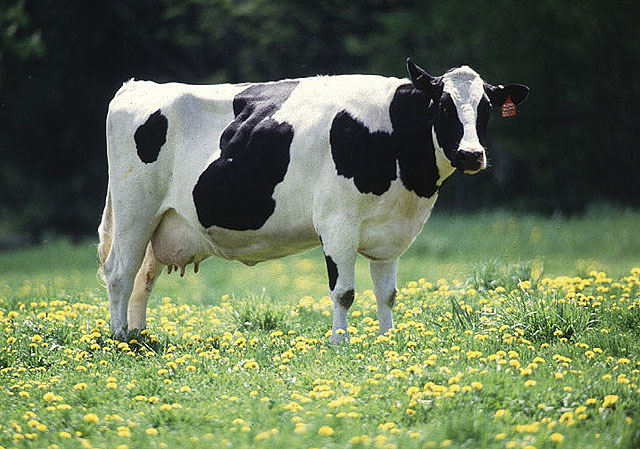 I wrote this op-ed about the July 1 "Trojan Cow" protest at Vermont Yankee. It appeared in the Valley News on Sunday, July 29, but the Valley News puts very little of its content on-line. I felt this op-ed fit in well with Howard Shaffer's recent blog post about the grid: Where's the Magic Switch. You can watch a three-minute video of the demonstration on YouTube. The 120th Carnival of Nuclear Energy Bloggers is now up at The Hiroshima Syndrome. 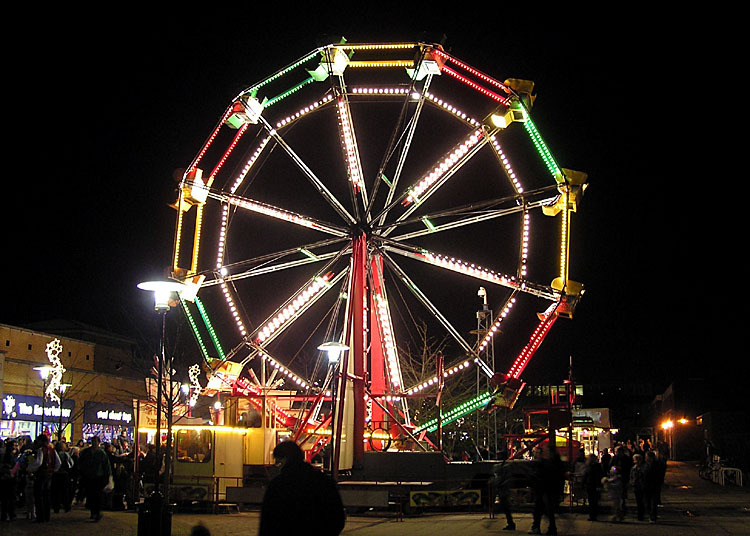 Leslie Corrice is hosting the Carnival for the first time, and he has put together a great group of posts for your reading pleasure! 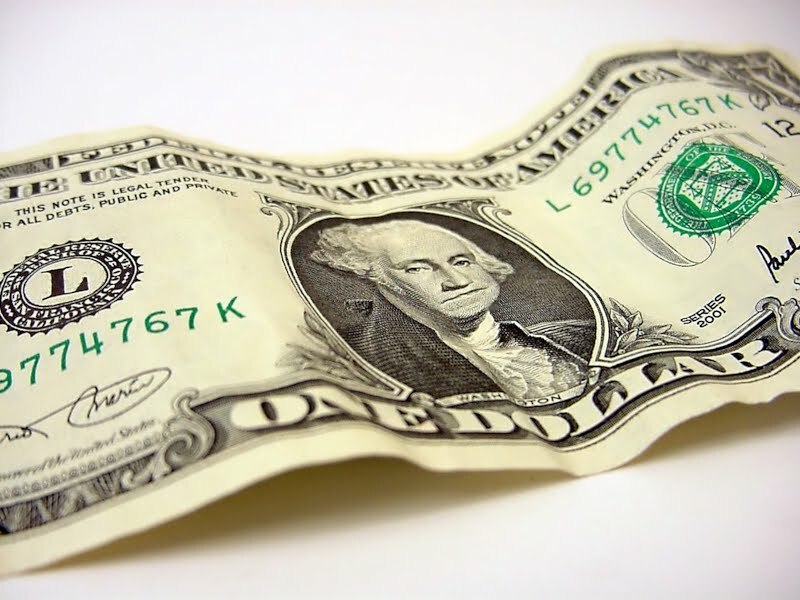 Rod Adams of Atomic Insights describes the probably future of natural gas prices (sky-rocketing prices) and Steve Skutnik of Neutron Economy has a post arguing that Adams' post is wishful thinking about natural gas pricing. And there's more, much more! Rick Maltese of ThoriumMSR and I post about the LFTR thorium reactor. Maltese wants to know why leaders aren't showing, you know, leadership about thorium. (That is a good question.) I review the recent book by Robert Hargraves: THORIUM: energy cheaper than coal. Brian Wang at Next Big Future describes improved nuclear fuel, and Margaret Harding of 4factor consulting writes an open letter to the Wall Street Journal. Will Davis described the Dresden Station Technical Tour at ANS Nuclear Cafe, while I describe the search for nuclear happiness (as an activist). Steve Aplin of Canadian Energy Issues describes delays (death by delay...I hope not...) Brian Wang of Next Big Future describes other types of Small Modular Reactors, and Rod Adams talks about Energy Subsidies at the Atomic Show podcast. It's a great Carnival. Something for everyone, from policy to fuel to LFTRs to natural gas! Come visit! 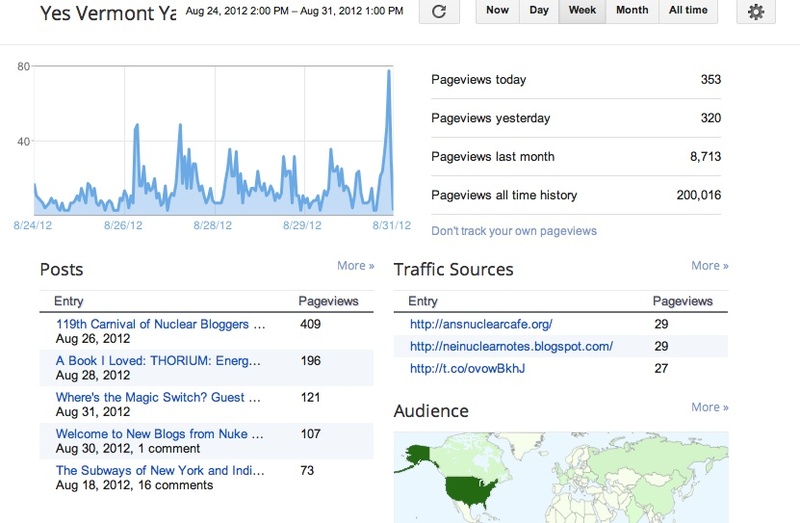 On Friday, August 31, Yes Vermont Yankee past a milestone of 200,000 page views. The statistics from Google Blogger are shown above. I think the blog is doing pretty well, considering that it covers mostly Vermont issues, and Vermont is a small state. I recently described Yes Vermont Yankee as a "niche blog." Some of my friends objected to that description. "It's not too big and it's not too small. It's Just Right!" Thank you to everyone who reads this blog! Update: I want to thank the American Nuclear Society for sending their congratulations through a lovely post at ANS Nuclear Cafe: Yes Vermont Yankee passes 200K pageview milestone.